Conservatory, we are here to to assist you in making the right choice for your new room. We always take great care to see that the design is aesthetically pleasing - this includes paying attention to details such as equal glass lines whenever possible, as shown in our examples here. 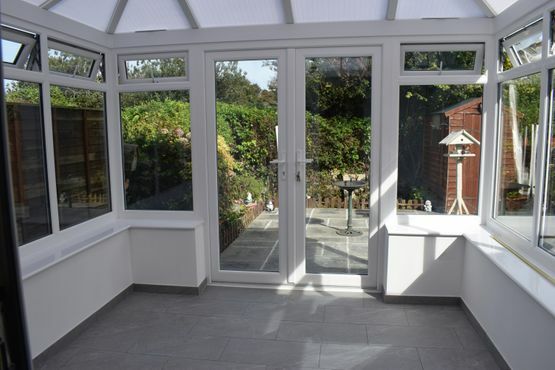 Conservatory roof options include polycarbonate, self clean glass (various colours) or lightweight tiles. Roof ventilation optional.